The Koch Dummybox Home is an innovative ‘multi-tool’ should be found in every guitar player’s toolbox. The Dummybox Home version provides a solution for virtually every live and/or recording situation, or for playing with your amp at full blast in your bedroom. 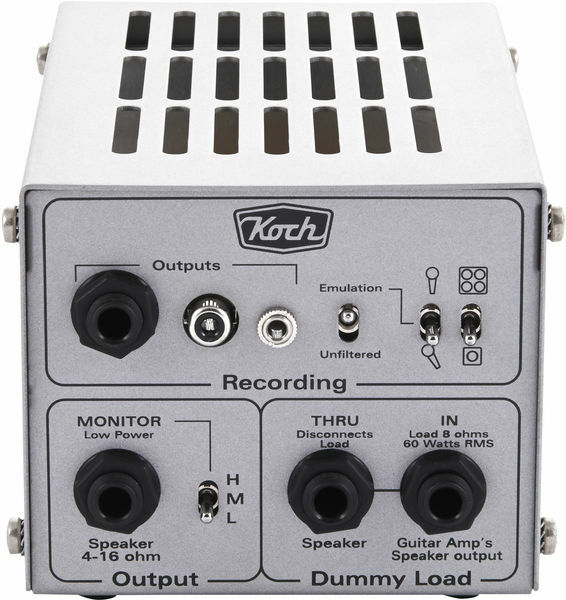 With the Koch Dummybox Home you can capture the sound coming from your guitar amplifier’s speaker output, and feed it into your home recording-system; even when playing at bedroom volume or without having a speaker cabinet connected! 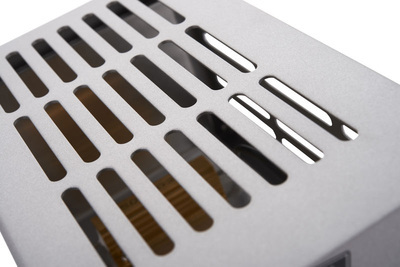 The Dummybox is placed between your favorite amp and speaker. Therefore, it captures every coloration to your guitar tone created by your amplifier from both the pre-amp and power amp sections of your amplifier. If you connect your speaker to the monitor output you can play your amp at full power, and set the volume of your speaker at a much lower level. With the three position switch you can select that only 5% (H), 3% (M) or 1% (L) of that output power is sent to your speaker cabinet. 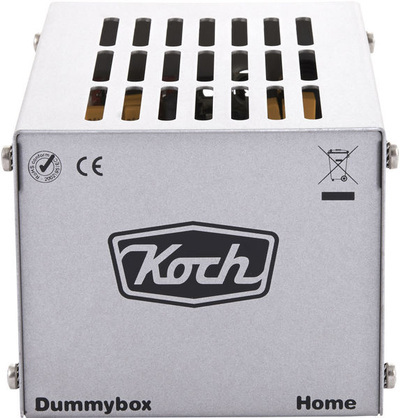 The Koch Dummybox Home can handle up to 60 watts of power from your amplifier continously while ensuring peaks up to 100 watts will not cause any problems. Recording your favorite guitar sound can be done with or without a speaker connected. 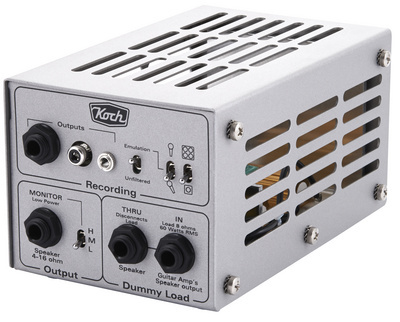 The Dummybox Home has three different recording outputs: 1/4” jack, RCA, and mini jack. You can choose to send a filtered or an unfiltered signal to your recorder or PA. When the filtered signal is chosen, the voicing switches provide you with various speaker-simulation options such as the choice of microphone placement (on or off-axis), and type of speaker cabinet emulation (1×12 or 4×12). These options allow you to vary the directness of the sound and low end. We understand that authentic tone and reliability are the most important things for guitar players. Therefore, we designed the Koch Dummybox Home using the highest quality components and protected it with a heavy duty steel housing. Whether recording, performing, or rehearsing, the Koch Dummybox will allow you to let your amp run at its fattest, juiciest, loudest level, while allowing you to tame the output volume.